When you first dive into Albany history, you might think that historic homes and our connections to the Oregon Trail and indigenous peoples are the only roots we value. However, you might be interested to note that we honor our Linn County veteran’s history in a big way—in fact, we have the largest Veterans Day Parade in the state and west of the Mississippi River. In addition to the parade, the Linn County Veterans Memorial (LCVM) is an inspirational example of how selfless volunteers contribute to the region’s historical preservation. AVA met with Randy Martinak, President of the LCVM, and we spoke about how the memorial got its start and what the future holds for it. AVA: So when was the original Albany veterans memorial built Randy? Once the flag was procured, the Jaycees went on to hammer out a plan with the Albany Police Department to ensure the flag was raised and lowered according to proper etiquette (when there is no illumination) at sunrise and sunset. During this time, plans for a permanent light installation moved forward. AVA: Wasn’t it in the original plans that the memorial would only be for those who had been killed in action during the Vietnam War? 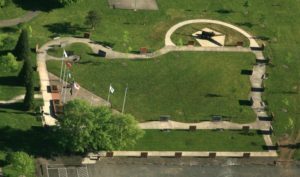 After several long years of work by the Jaycees, construction provided by numerous volunteer builders, and building material contributions by contractors, the Linn War Memorial was finally dedicated at Timber Linn Memorial Park on May, 30, 1969. For nearly 40 years following the dedication, the memorial did not change much. Albany Parks & Recreation Department helped to maintain the memorial with regular landscape and gardening sevices. After a newspaper article about the memorial was published in the Albany Democrat Herald, a local Navy veteran, Garner Pool, visited the site and discovered that his brother’s name, Sylvan B. Pool, was missing. Research to locate his missing records helped unearth other names that should have been included in the original construction. During the expansion planning, it became apparent the memorial not only needed to include veterans who had inadvertently been missed from the Vietnam War, but to honor veterans from all wars fought in the 20th century. Included were in-kind contributions of materials and labor, including an anonymous donor who offered to lend the group the $21,000 necessary to begin the work. 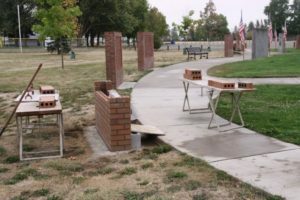 The expansion included the opportunity to purchase engraved “sentry bricks” at $50 per brick. The bricks would contain the name of any veteran who served honorably, from any part of the state and the US. 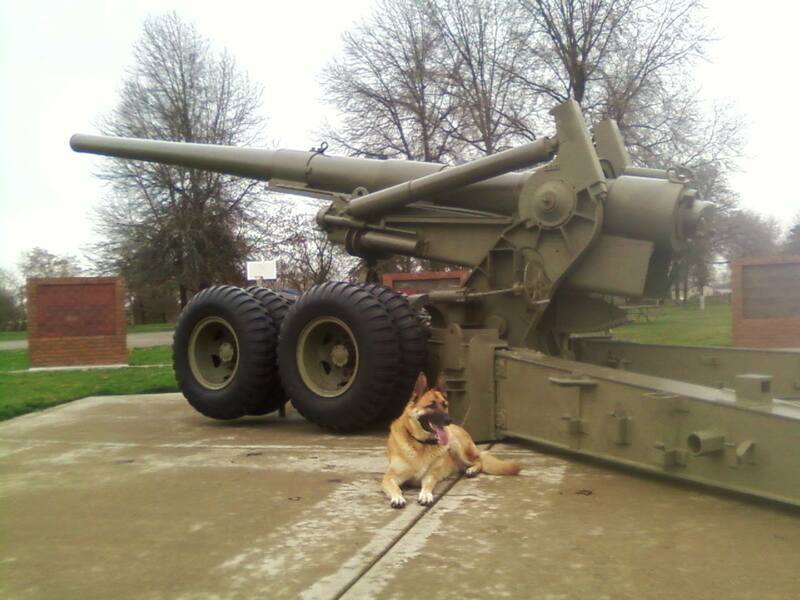 Martinak was responsible for moving the large Howitzer located in an awkward part of the park. He worked with his cousin (who just happened to be an engineer) to safely relocate the cannon. This was no small feat, as the large gun weighed 36,000 pounds! With all of the moving parts (and cannon) in place, the refurbished and enlarged memorial was ready to receive visitors and hold gatherings. The time has now arrived when the memorial needs to be expanded once more to accommodate requests from veterans’ families. The Linn County Veterans Memorial Association hopes their state heritage grant application and the sale of new bricks will help fund this current expansion project. We encourage all who would like to visit the memorial to check the Albany Parks & Recreation Department website for park hours and/or closures. For visitors: The Linn County Veterans Memorial is located in Timber Linn Memorial Park at 900 Price Rd SE, Albany, Oregon. Besides the veterans memorial, the park encompasses 100 acres with family amenities including basketball courts, disc golf, fishing, lake access, horseshoes, playground and picnic areas with BBQ facilities and tables, restrooms, and day-use shelters. A memorial service is held each year on Veterans Day, normally the same day as the Albany Veterans Day Parade. The parade is the largest veterans day event west of the Mississippi River. 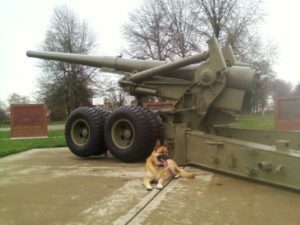 School Field Trips: Educational school tours may be set up through the Linn County Veterans Memorial Association by sending requests to LCVMA, P.O. Box 2739, Albany, OR, 97322. Bricks: For those interested in requesting an engraved brick to honor their loved one who has served in the US Armed Forces, send copies of the service member’s DD Form 214, the application form below, and payment ($50 per brick) to LCVMA, P.O. Box 2739, Albany, OR, 97322. *Please note that this all-volunteer group only has the capacity to install approximately 65 bricks per year. Brick location at the memorial: To access a list of the veteran names at the park, view the PDF document below.